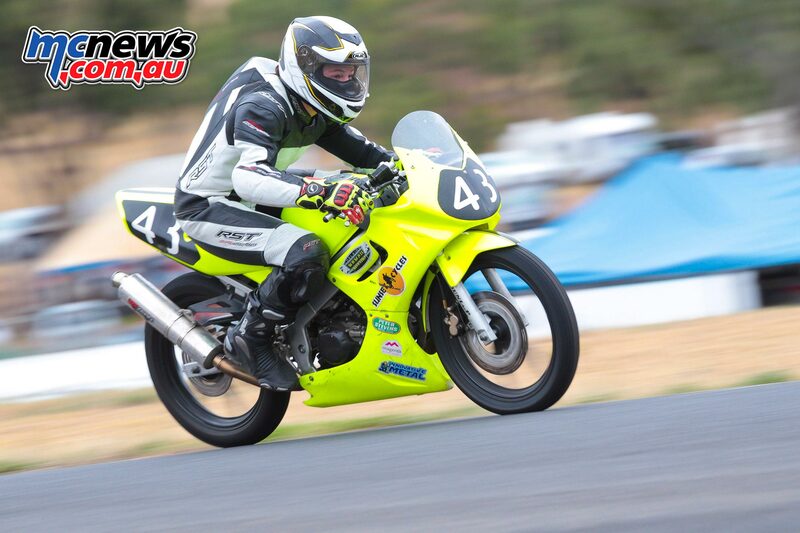 A massive number of riders faced challenging conditions for the first round of the Hartwell Club championships for 2017, held at The Broadford State Motorcycle Complex’s tight and undulating road racing circuit. The temperatures varied from the high 30s with almost 100 per cent humidity during fridays practice, to hot and dry conditions in the mid thirties on Saturday. The weather culminated in a cold and often wet day on Sunday, which made for difficult conditions for all the riders over the weekend. Upon arrival on Saturday, I was greeted with an overflowing paddock, something akin to the swelling numbers of the 1990s. 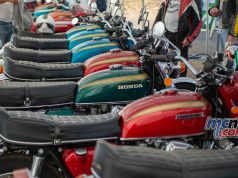 Pit tents adorned the carpark, with riders packed tightly together looking for places to plug in their tyre warmers. The journey from the pit exit to the pit tents in the outfield with hot sticky race tyres made for some ghastly sounds, as the stones scrapped and crunched under the guards and bodywork of those unlucky enough to not have the luxury of the pit sheds. 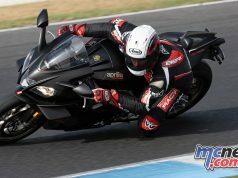 Being the first meeting for the modern bikes this year, there were several riders who were a touch lacking in track time, fitness and bike set up. 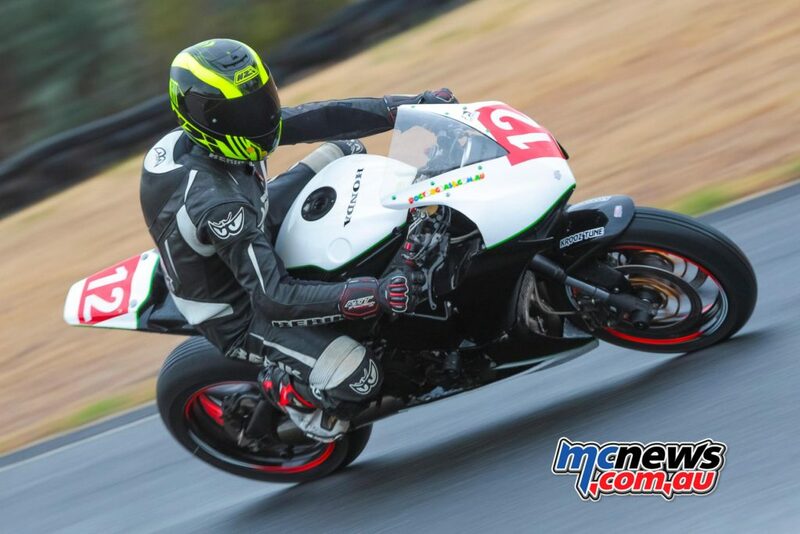 Not to mention riders who had upgraded their machinery in the off season and were debuting their new racebikes at this first round. 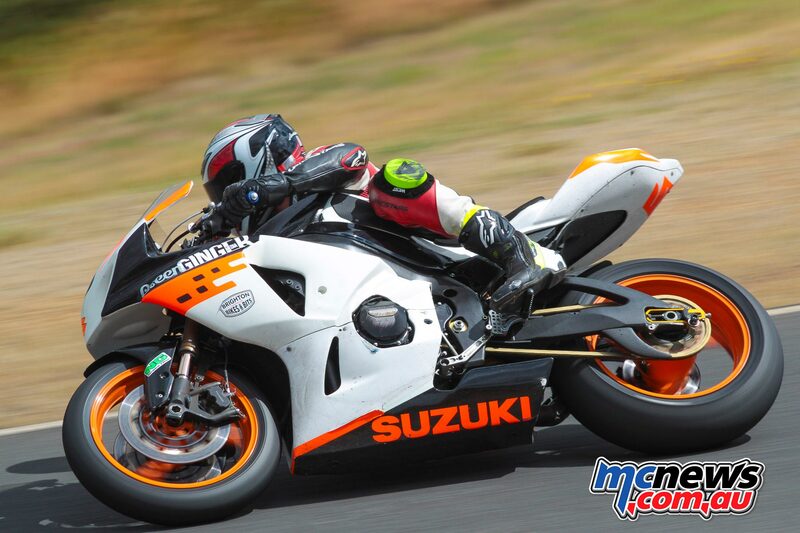 A few riders had also opted to do the World Superbike Support races at Phillip Island, which will be held at the end of this month, and as such had not entered for the first round at Hartwell. However, that didn’t detract in any way from the racing, with the largest number of entries I’ve seen in recent years, making up for any lack of a rider here or there in a class. 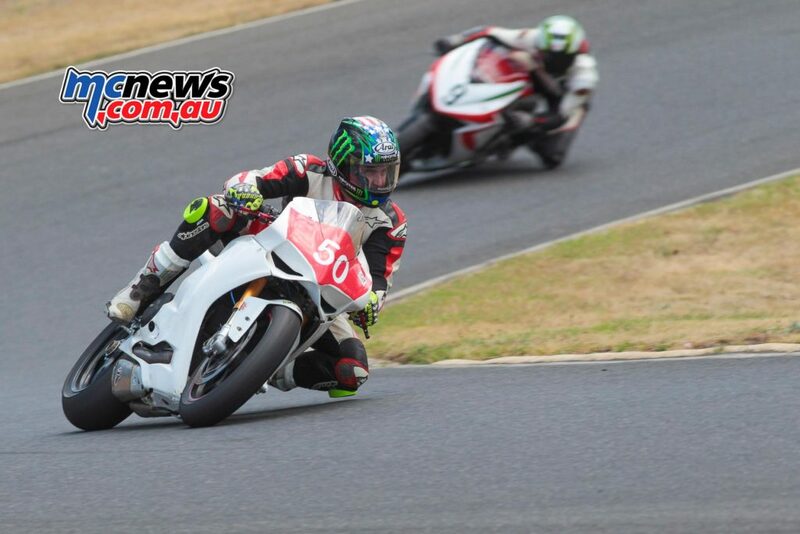 From the Juniors through to the Superbikes, there were packed grids in every race. 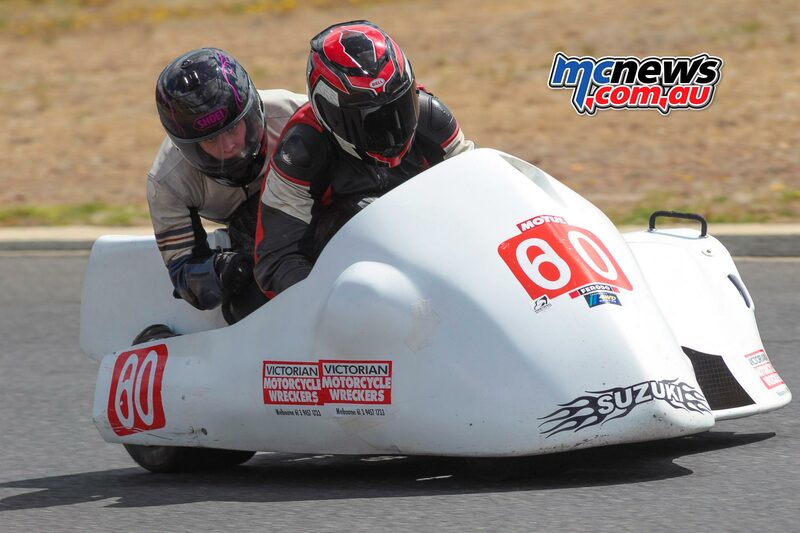 In addition, there was a large number, comparitively, of sidecar outfits who turned up to provide some strengthened competition in the sidecar races. This is an encouraging sign for a class of racing that has seen dwindling numbers in recent times and also made for great viewing for those who came along to get their dose of bike racing as spectators. 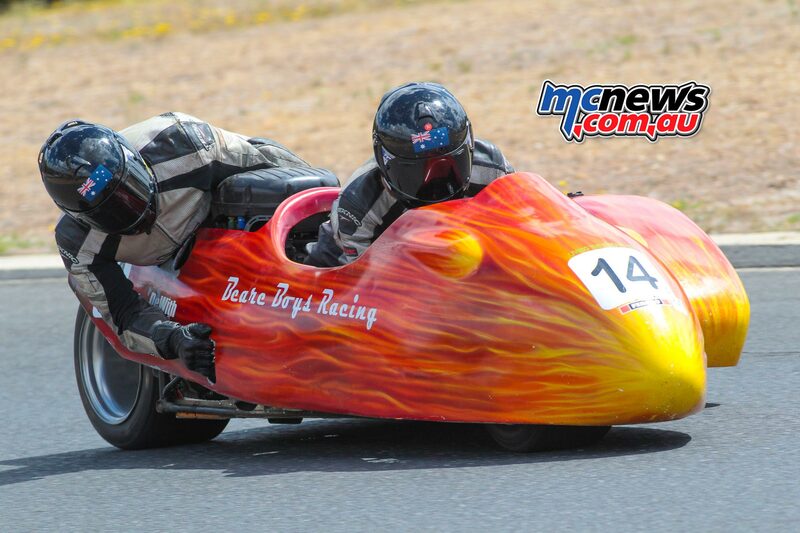 It was exciting to see the sidecars run with a larger contingent of outfits than previous rounds. The sidecars, although always lower in grid numbers, manage to be a highlight for those spectating, putting on some spectacular racing as always. The crowd was kept entertained with lots of wheelspinning and inside wheel lifting action. 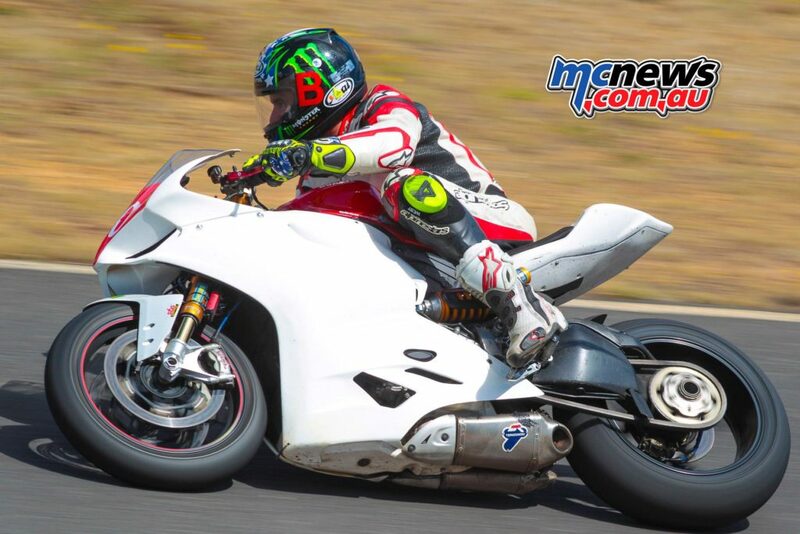 It was also a highlight to see the Beare family back at the track after the tragedy of last years Isle Of Man. The teaming of Duncan Rogers and Rod Bell were as always difficult to beat. They took four wins from the four starts to complete the weekend with a perfect score and were a definitive cut above the remainder of the field. They led from flag to flag and left the rest of the field to fight it out for the minor placings. 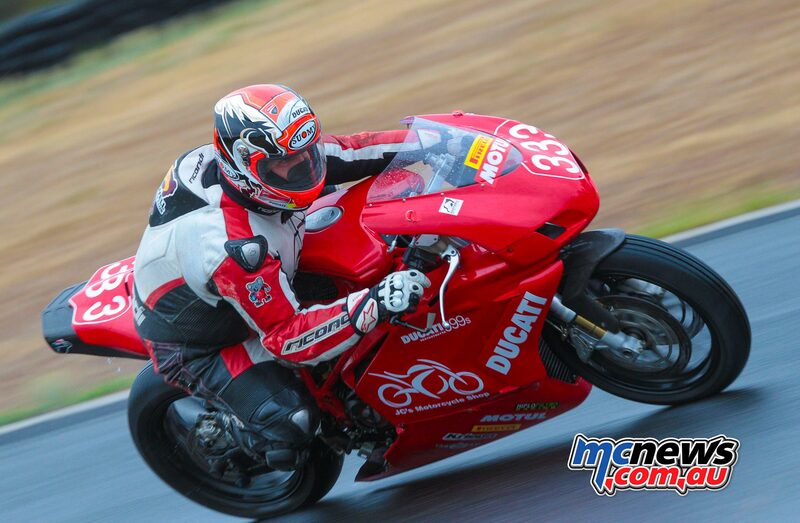 Although Nathan Spiteri’s BMW and Fergus Gibson’s booming KTM took a win a piece, it was Kym Grosseron and his delicious Ducati 1199 who took the overall win for the weekend and the points lead in the championship with his consistent runs. 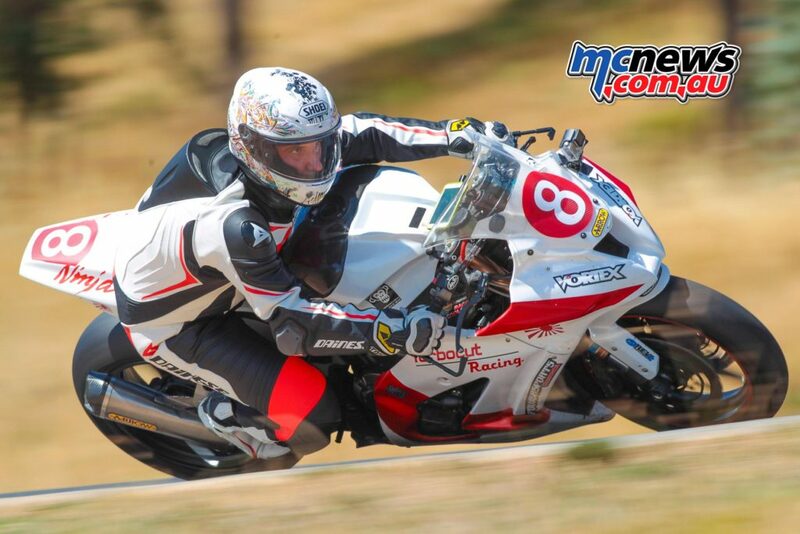 Kym blitzed the field in race one, then backed it up with two second places in the next two races and laid it all out in the final race to take his second, and overall, win. 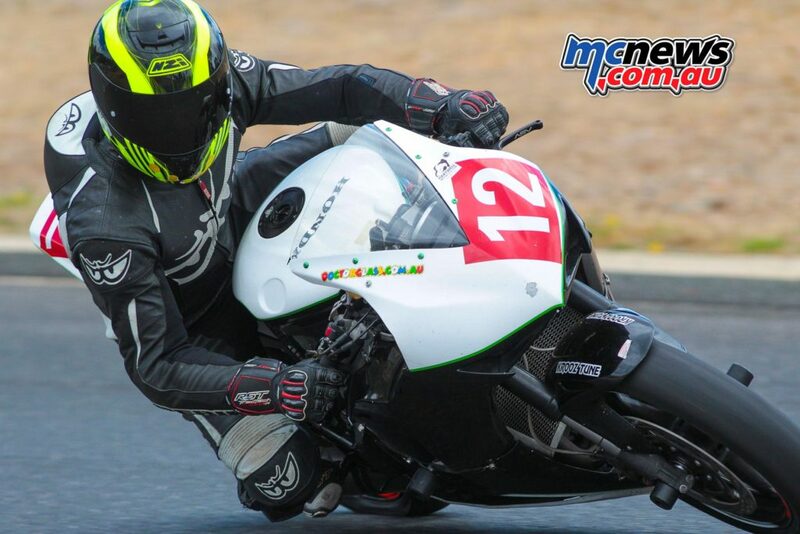 I haven’t spoken to Nathan, but suspect he was lacking tyres on his immaculately prepared BMW, as he did double duties in the Superbike races as well. If you have never watched the Juniors, I’d encourage you all to get out there and have a look. These young guys and sometimes girls are often only about waist height and look like they are barely old enough to be out of a kindergarten, yet they can ride! I mean they can really ride. These are the young faces who are the future Gardners, Doohans, Beatties and Stoners of Australia. 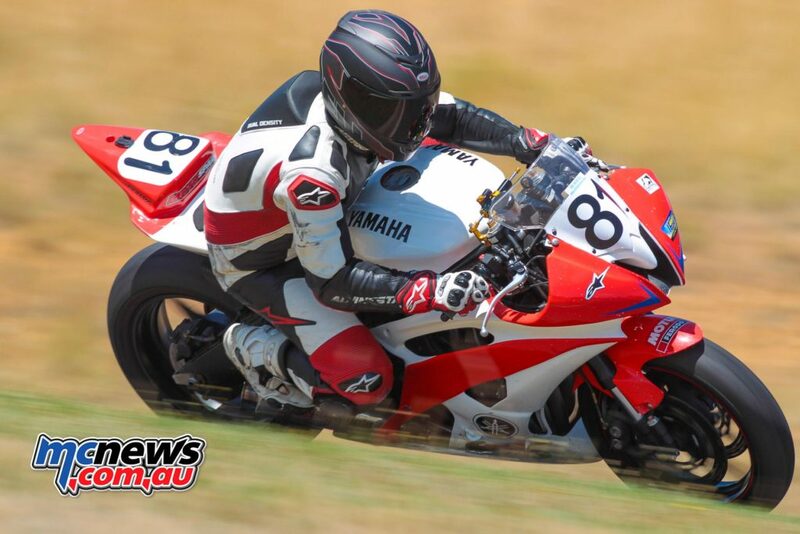 In the 85cc class, it was a battle between former ARRC front runner from the mid ’90s David Couzins’ son Jack and young Luke Power. Luke taking the overall with three first places and a second and the famous Couzins name taking a win and three second places. 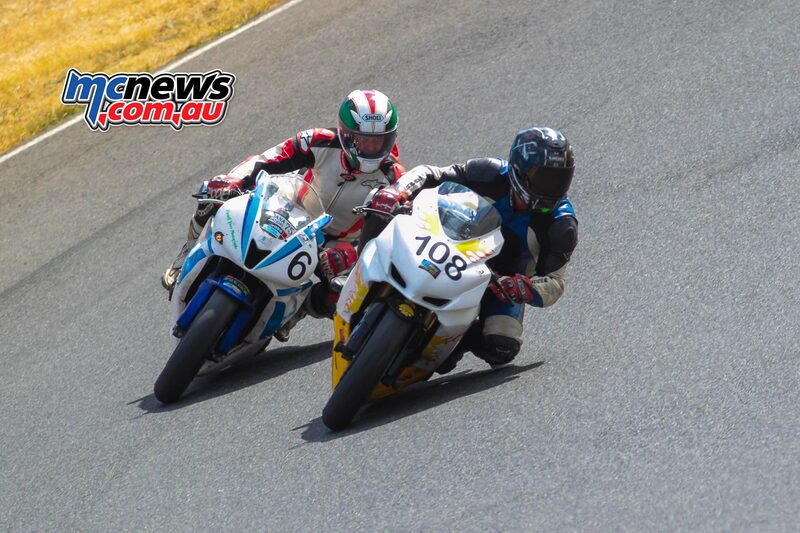 With both Luke and Jack lapping their 85cc bikes around Broadford around the 72 second mark, they were sure as hell riding the wheels off them. 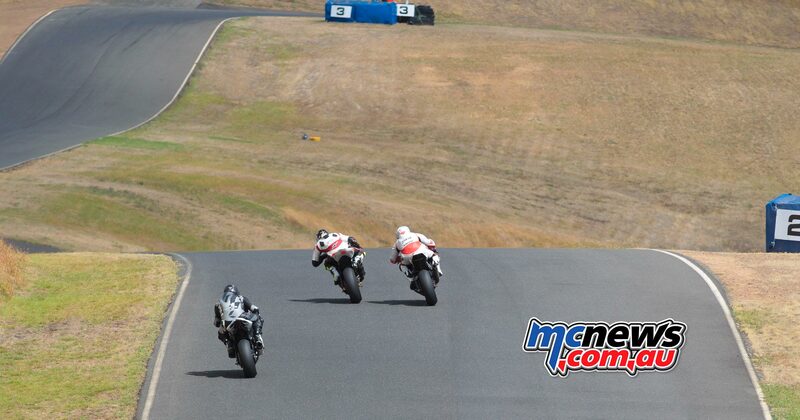 Some seniors on large capacity bikes should be watching these young guys and learning! 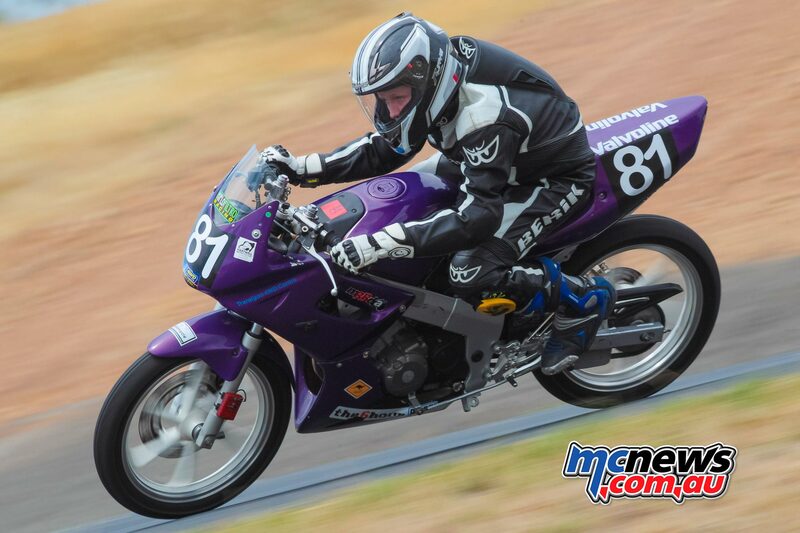 In the 160cc class, Ned Faulhead was hard to beat, taking all four wins for the weekend and the class lead in the championship. 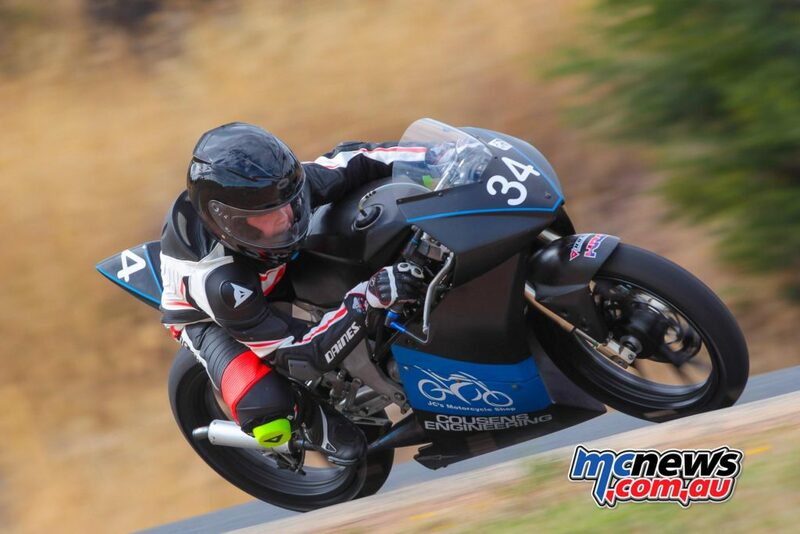 Cooper Corbett was going well with three second places and right up till the latter part of race four was looking like he would secure second place for the weekend. However a DNF ended his run, putting him back to third place for the weekend and allowing young Charlie Grimes to take the second step on the rostrum. 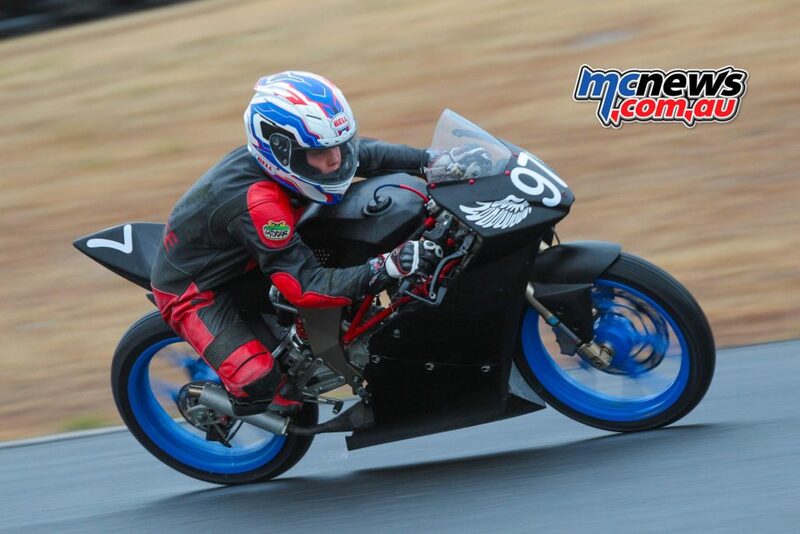 The always hotly contested 600 class was as entertaining as always, and with laptimes not far off the Superbikes at Broadford the racing is always exciting to watch. Although there is a noticeable drop in numbers on the grid from the heady days of the mid- to late-’90s. 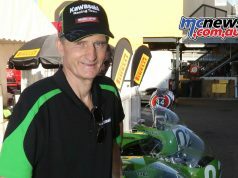 The evergreen Graeme Koschmann was almost unbeatable over the four races, only being pipped once in the first race by Ashley Daff. 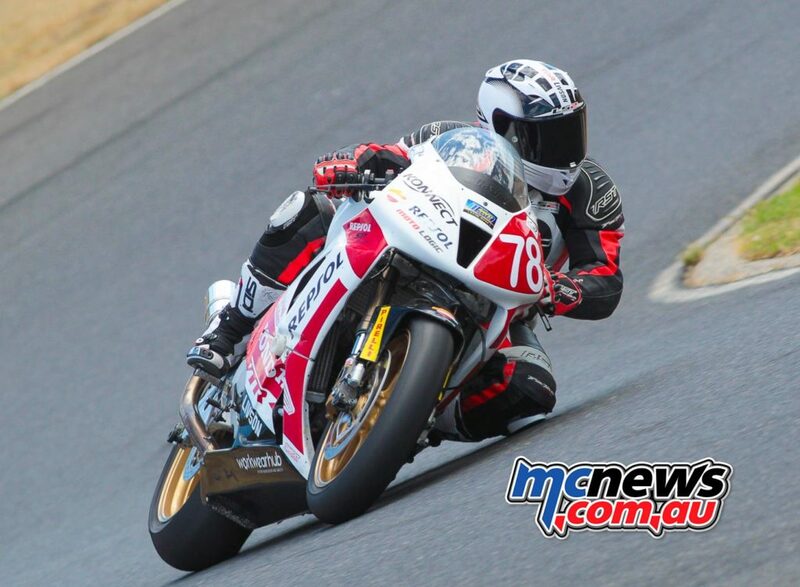 Glenn Nankervis, the current serving president of Hartwell, returned to racing late last year and was again out on his YZF-R6 and deserves a special mention for running 4th for the weekend. For a dinosaur who has been used to twirling the spanners for the riders, he goes alright. Being the first meeting of the year showed, the laptimes were a few seconds off the normal pace of this class. 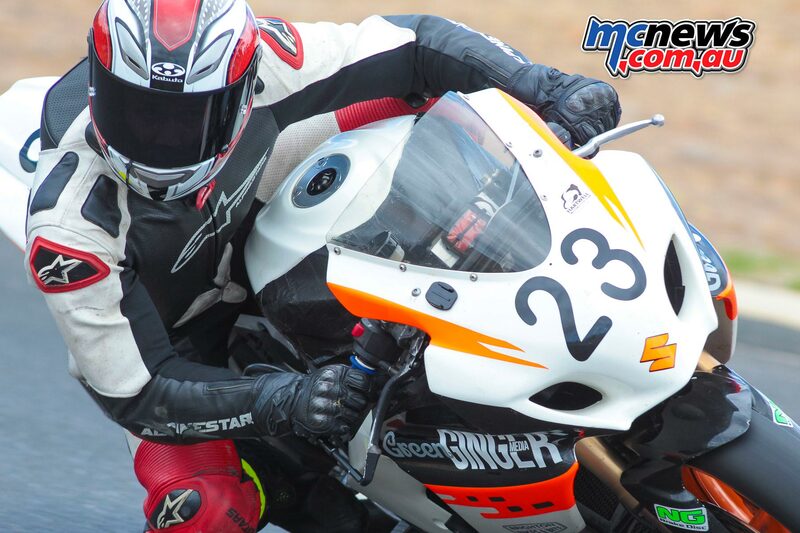 Some regular front runners such as Chris Ognenis and Scott Mcgregor didn’t fire up, and with Dean Archbold, Ben Gotch and Andrew Ord not being able to enter, this somewhat reduced the need to be firing out 57-second laptimes in order to win. However, Brook Coombs proved he was no slouch and reeled off consistent laptimes around the 60-second mark to take the four wins and clean sweep the weekend. My favourite race of the Hartwell series is the Greg Bailey Memorial. A 20-minute plus one lap race, it not only tests a rider’s speed, but also their physical endurance and ability to manage tyres over a longer distance, than the shorter sprint races in each class. 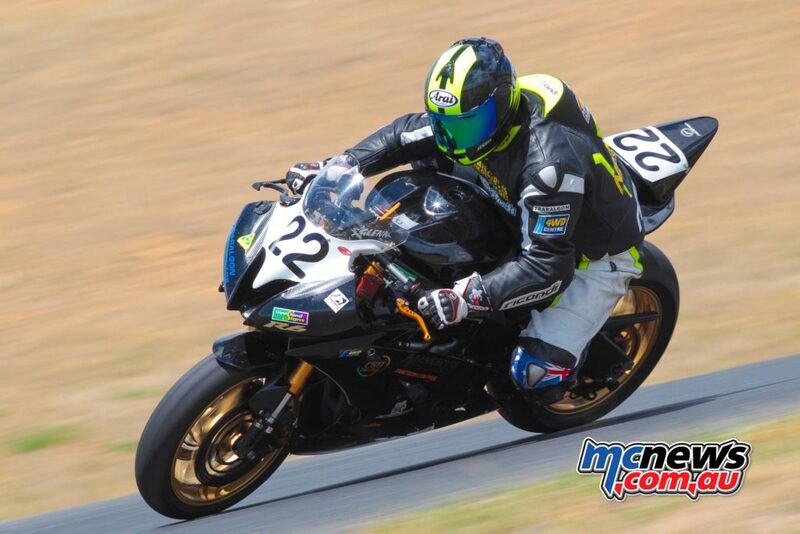 Steve Rubinic was on fire for this race, taking pole and then going on to lead every lap for the entire race. 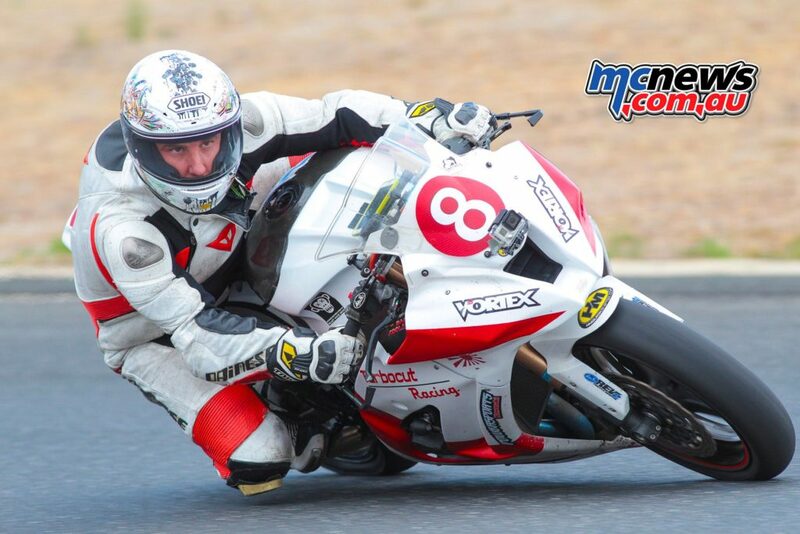 A special mention goes to Alex Katakousinos, who finished 4th, but took the fastest lap of the race with a 59.3 on the 17th lap. Given the conditions being a drying track and cool temperature, this was a mighty effort. It was a tight battle for the positions behind Steve after he had cleared off, with Brook, Wayne and Alex all fighting hard. 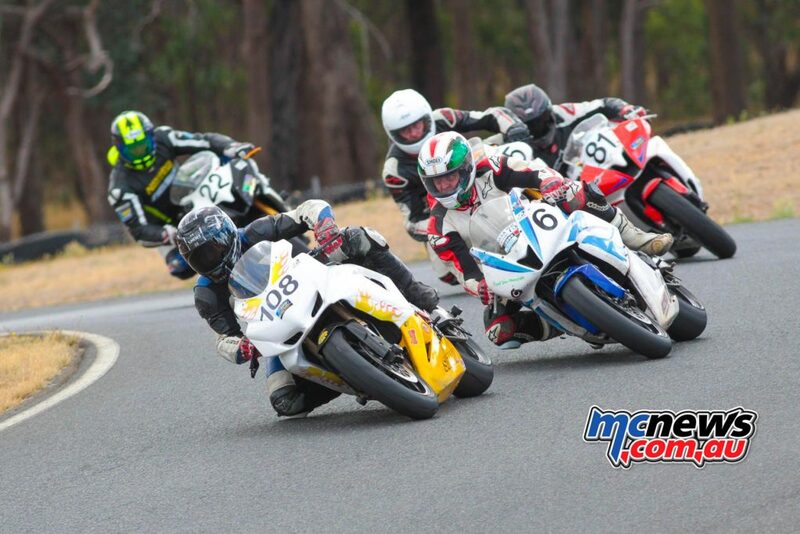 Roll on March 11th and 12th, were Round 2 of the Hartwell Championships will be run at the picturesque Mac Park at Mt Gambier on the S.A./Vic border.